The former Inspector General of Police, Mr. Ogbonnaya Onovo has extolled the leadership virtues of Gov. 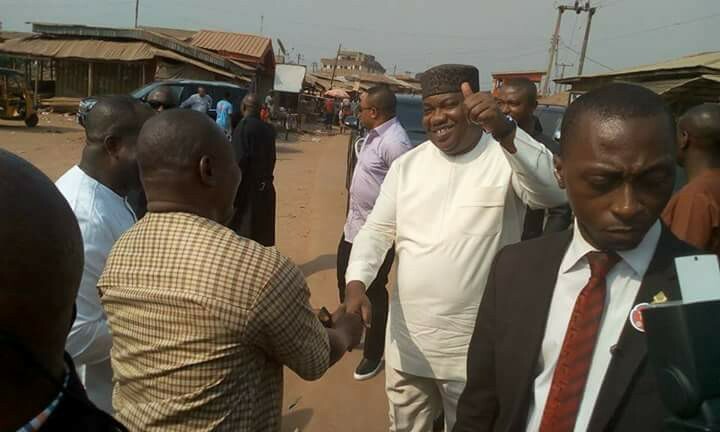 Ifeanyi Ugwuanyi of Enugu State, describing him as a visionary and “wonderful” leader whose style of politics is sincere, inclusive and result-oriented. Speaking at the colourful flag-off ceremony of the construction work on the all-important Ogonogoeji-Ndiagu-Akpugo rural road (from Atavu Bailey Bridge to Afor Onovo), which attracted many leaders of “Nkanuland”, Mr. Onovo expressed delight that after years of neglect by past administrations, Gov. Ugwuanyi was able to remember the people of the area by commencing work on the road. The former IGP, who applauded Gov. Ugwuanyi for keeping faith with his promise to construct the road shortly after he inspected it, regretted that the road had not witnessed any development in the past. He also commended Gov. 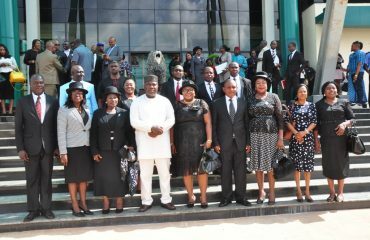 Ugwuanyi for his commitment to good governance, transparency, accountability, peace, justice and fair play, noting that the governor was able to utilize the lean resources of the state to pay workers’ salaries and retirees’ pensions and still execute massive development projects across the three senatorial districts of the state, especially in the rural areas. Mr. Onovo added that Gov. 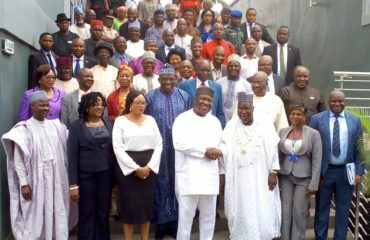 Ugwuanyi’s good works and his commitment to peace have earned Enugu State the enviable status of “the safest state in the country”, saying: “I am happy to be here to identify with you, Your Excellency”. The former police chief noted that Gov. 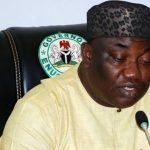 Ugwuanyi’s approach to governance in the state also inspired him to transfer his voters’ card from Abuja to Enugu to be able to participate in the forthcoming general elections as well as support the governor’s re-election in 2019. Also speaking, the Executive Chairman of Nkanu West Local Government Area, Hon. Henry Okenwa also thanked Gov. 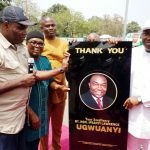 Ugwuanyi for the numerous development projects his administration is executing in the council especially the Agbani-Amurri road, which he said was witnessing development for the first time in the past 100 years. The member representing Nkanu East/ West federal constituency, Hon. Emeka Ujam, two former Military Administrators from Akpugo community, Cmdr. James Aneke and Col. Anthony Obi, among other speakers equally praised the governor for commencing work on the road, assuring him of their firm support in 2019. Flagging off the project, Gov. 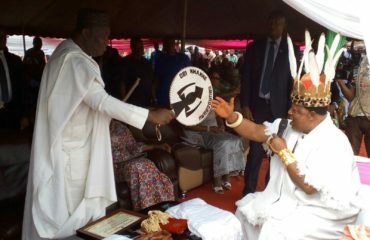 Ugwuanyi described the event as “historic and significant” being “the very first state government road in the entire Akpugo zone”, disclosing that the other roads in the area were either done by the local government council or by private individuals. Gov. 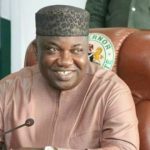 Ugwuanyi recalled that his administration had earlier constructed the first phase of the Agbani-Amurri road and has extended the construction work into Amurri community, saying: “As I speak, resources are being mobilized for the commencement of work on the Omuoha-Obuoffia road”. Gov. 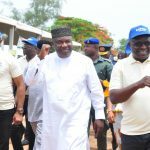 Ugwuanyi added that the construction of the roads was in keeping with his administration’s promise to develop the rural areas in order to improve the standard of living of rural dwellers and boost economic activities in all of parts of the state. He maintained that the road, when completed, will not only bring desired relief but will also usher in a new era of development and prosperity for the people of the area. Commending all the Royal Fathers, Community leaders, stakeholders and the entire people of Akpugoland for the wonderful reception, they have given us today and for their unwavering support for his administration, Gov. 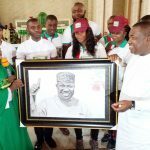 Ugwuanyi reassured the people of the state that the government will not relent in its efforts until the impacts of good governance are felt in every community in the state.